Six Indians make it to the list. 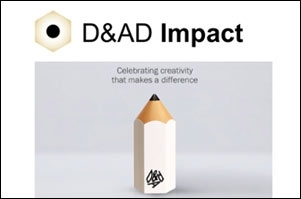 Design and Art Direction (D&AD) Awards has announced jury for this year's edition. The awards in its 57th year, will be held on May 23, in London. This year the awards will be grouped in five different categories - Advertising, Design, Craft, Film & Entertainment and Purpose. Ashwini Deshpande, co-founder and director, Elephant Strategy + Design, has been named as the jury president for the 'packaging design' category. Five other Indians have been selected as jurors. They include Delna Sethna - former chief creative officer L&K Saatchi & Saatchi, KV Sridhar - founder and chief creative officer, Hyper Collective, Sarang Kulkarni, type designer and co-founder at Ek Typ and Shuchi Thakur, executive creative director, Wieden + Kennedy (New Delhi), and Tania Singh Khosla, founder and design director, TSK Design.